We can change the combination for any type and size of residential and commercial safe. We can also replace the old analog combination dial with a digital keypad lock. Having difficulty remembering the combination to your safe lock? Need to change the combination on your safe following a divorce, dismissal of an employee, or unintended disclosure of your safe code? Want to replace your safe lock with a new locking mechanism that is easy to use and secure? When you need a trusted, licensed and registered locksmith who offers safe combination change services, call us here at Lightning Locksmith. We provide fast, reliable mobile safe locksmith services across Delaware County, PA, including throughout Newtown Square, Wayne, Brookhaven, and the surrounding areas. If you have reason to believe that your safe combination is no longer a secret, don’t buy a new safe – call our mobile safe locksmith. We have the skills and experience needed to reset your safe combination, saving you the high cost and hassle of purchasing and installing a brand new safe. In most cases, a special safe lock change key will be needed to reset the locking combination on your safe. As fully licensed and registered locksmiths, we can often obtain the correct change key, also knowns as a keedex, directly from the safe manufacturer, or from our special distributors, however, this may not always be possible. In those rare situations when we are unable to source the safe lock change key, our locksmith may have to completely replace your safe lock with a new lock. Just like all types of locks, over time safe locks can wear out, making it increasingly difficult to open your safe. If you’ve noticed that your safe lock doesn’t seem to tumble as smoothly as it once did, you’re having trouble landing the dial on the correct combination, or you need to re-enter the combo multiple times to release the lock, it may be time to replace your safe lock. Did you know you can have your old dial safe upgraded with a new, digital keypad lock? Our safe lock change service is a popular option among safe owners who want to enjoy the convenience that comes with an electronic keypad locking mechanism without incurring the cost of buying a brand new safe. In fact, thanks to advances in safe technologies, we can even install a Bluetooth-enabled safe lock that links your password-protected smartphone with your safe, providing you with the added security of a dual-authentication process for your safe lock. As the only mobile locksmith that provides safe combination change service in Wayne, Brookhaven, Newtown Square, and all of Delaware County, PA, we take pride in providing high-quality workmanship and fair, honest pricing to our valued customers. 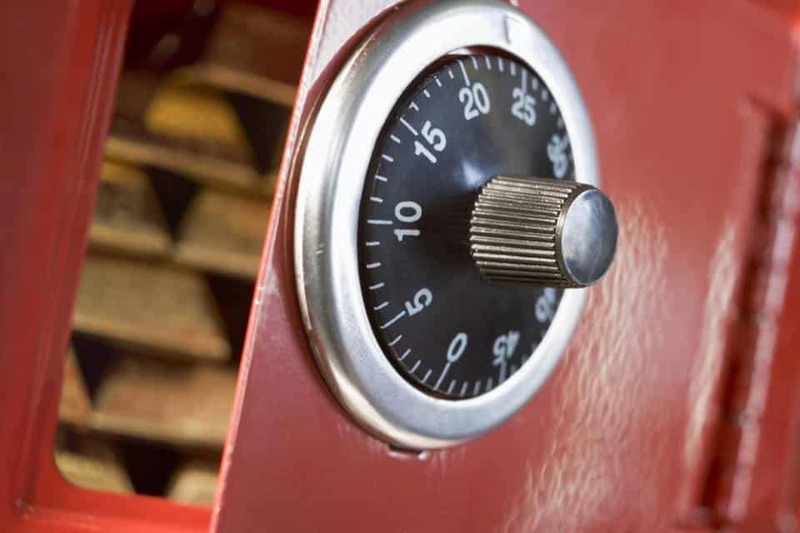 When you need to replace your safe lock, rekey your safe lock, or have your safe lock combination changed, call us here at Lightning Locksmith.